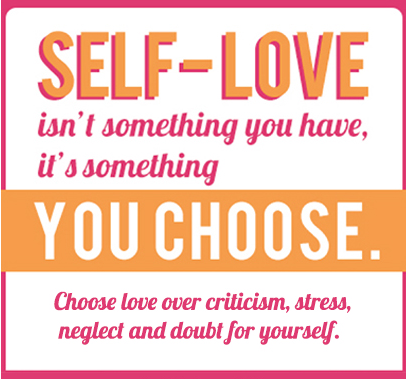 Strengthen your ability to CHOOSE LOVE for yourself and make self-loving choices in every moment – instead of putting guilt, shame, blame, criticism, stress, pressure and fear on yourself. Based on the teaching of Christine Arylo. If you want more self-compassion, self-care, self-esteem, & deeper self-worth… this is the year to strengthen your self-love. Because the truth is, self-love is where everything starts in your life. If it’s not strong, you can not fully go out into the world & create the life that your heart & soul desire. Hi! 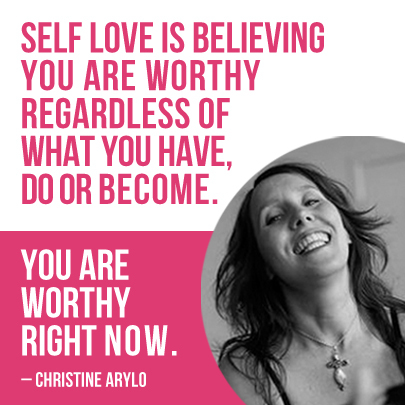 It’s Christine Arylo here, the founder of the Path of Self Love School. I made this video for you. If you are here on this page, chances are self-love is on your mind, but like most of us you aren’t sure exactly what self-love is, if you have it, and how to DO it. You have some general ideas, but they seem vast, esoteric and loose… and you’re not even sure what a lack of self-love is costing you. But you have a sense you need to be more committed to yourself, your needs, desires, truth. You may have some of the signs of weak self-love: Settling and playing small. Being hard on yourself. Stuck in the wrong relationships. Stuck in sabotaging patterns. Comparing yourself. Treating your body badly. Over-working and exhausting yourself, again. Over-giving. Putting your needs last. I get it. I never knew that the reason I almost married the wrong person, almost got stuck and settled in the wrong career, constantly pressured myself to do more and do it all perfectly (no matter how much I achieved it was ever enough), obsessed about my body no matter my weight, lacked a true soul tribe of friends, worked myself into exhaustion and only let myself rest when I got sick, was because I lacked self-love. Until the moment I asked myself, “Why do I keep creating these same self-sabotaging situations, keep getting stuck in these same self-defeating thoughts?” The answer was “You may have self-esteem but you don’t love yourself, and you don’t really even know what self-love is.” Wow. Kaboom! HOW and where do I start? And how do I know if I am there, if I am really loving myself? I took all these learnings, experiences and practices that worked and made self-love tangible and real, and wrote the best-selling self-love guidebook, Madly in Love with Me the Daring Adventure to Becoming Your Own Best Friend. And then because I know books can just sit on the shelf and collect dust, I decided to create A Year of Self-Love (affectionately known as The Love Club) to share with people – just like you – practical, tangible, simple and fun ways to strengthen their self-love. 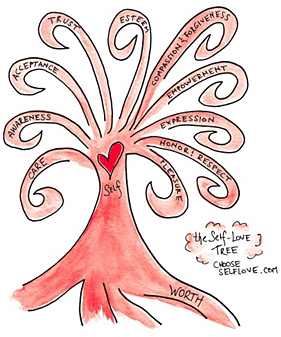 There are 10 branches of self-love – AND you need ALL 10 + the roots to be strong. Each month you will focus on and strengthen one branch of your self-love. You won’t be just thinking or reading about taking actions that really are self-loving, you will start to be, think and live differently. You will have the support, structure, wisdom, inspiration and community you need to love yourself, trust yourself and empower yourself (in simple ways that fit into your life, not create more to do’s). Just like you would join a gym or find a trainer to strengthen your physical muscles, or you would take a yoga class to strengthen your emotional and spiritual center, you join The Year of Self-Love to strengthen your ability to give yourself PERMISSION to make the self-loving choices you already know are good for yourself! YES! Sign me up for a Year of Self-Love! 12 Months of A Year of Self-Love – that means you can relax knowing that your self-love will grow this year – we’ve got your back! The Self-Love Coloring Book & Journal — includes self-love mantra coloring pages, heart art coloring pages and self-love journaling inquiries to support you to choose self-love, trust yourself and stay true to yourself, no matter what. 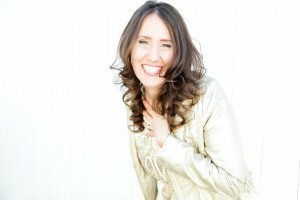 Access to Special Resources in the Digital Self-Love Library, including — Be Wealthy in Love, Re-Aligning Your Life to Your Dreams and to What Truly Creates Happiness for You, Self-Respect & Self-Honor Choosing ME Before WE Documentary, and a 3-Pack of Self-Love Meditations to Get You Started (Self Compassion, Self Empowerment, and Self Honesty). you can cancel your membership and keep your access to the digital self-love library. 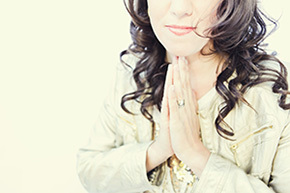 You’ll be invited to receive optional 1:1 support with Self-Love Guide, Stacey Hoffer. 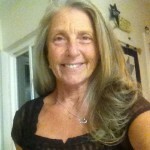 She will be offering private self-love coaching sessions for additional support, reflection and deepening. Sometimes what you really need is to receive personalized, one-on-one support to help you strengthen your ability to CHOOSE LOVE for yourself. Having a person to be there just for you – to see what you can’t see for yourself or to support you as you step into what’s calling your heart forward – can make all the difference. 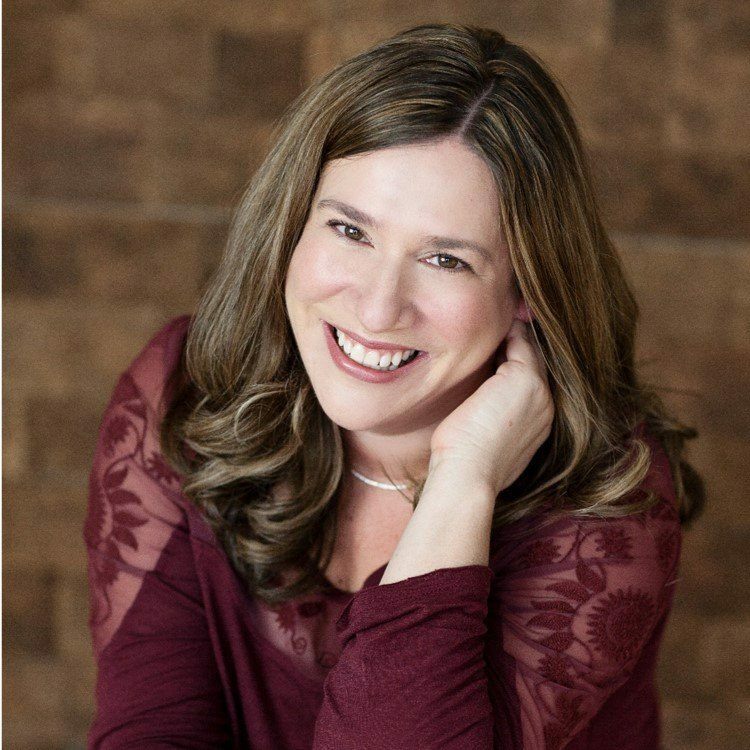 Stacey has been personally mentored with Christine Arylo and is a seasoned and powerful transformational self-love guide. These sessions will be available for an additional cost, though we always share special ‘self-love rates’ with everyone in A Year of Self-Love. Give yourself permission to make more self-loving choices and think more self-loving thoughts – living self-love for real on the inside, leading to shifts on the outside in your relationships, health, work, finances and more. Each month, you will activate and cultivate strength in one branch of self-love – self-compassion, self-empowerment, self-pleasure, self-care, self-acceptance, etc. – all 10 branches plus the roots of self-worth, so that you begin to create a stronger foundation of self-love that will affect all parts of your life. A Year of Self-Love gives you support, practices and tools to deeply love yourself, give yourself what you need, choose compassion over self-criticism, go for your dreams with courage, choose good relationships, and discover your deepest desires. Stay committed to yourself no matter what’s going on in your busy life – Just like a personal trainer keeps you focused on strengthening your physical muscles, A Year of Self-Love is here to help you strengthen your self-love muscles. It is the best self-study self-love program for strengthening your self-love. A Year of Self Love gives you a simple but mighty monthly and weekly structure to cultivate a rock solid relationship with yourself. And it fits into your life, creating space for you to focus on you. In case you fall off the self-love wagon, we’ll be here to scoop you up – You have the best intentions to keep making the best choices for yourself, but for those times when you get stuck in self-sabotaging habits and toxic thoughts, you need something to pull you back on track. A Year of Self Love offers inspiration, connection & community to get you back on track to loving yourself when you find yourself doubting yourself, forgetting about yourself, making self-sabotaging choices, feeling unloved, or whatever nonsense your inner critic is whipping up. Make self-love practical in your everyday life. 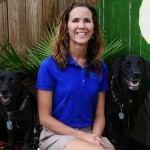 One of things we love most is supporting people to live the lives their heart and soul’s desire, and life can make that hard… which is why we are here to support you! A Year of Self Love provides you with proven, practical and fun practices and tools created by the Founder of the Path of Self-Love School, Christine Arylo, including self-love teachings videos, simple self-love daily practices, self-love adventures, meditations, love mantras, and more! Interact and be inspired by other people – connect, receive and share good vibes with good people, strengthening your ability to choose self-love. You know that when you are surrounded by other people committed to similar things, you make more progress, feel more loved, and just have more fun! No need for feeling lonely, love-starved or stuck when you’ve got A Year of Self Love. We have an online community site, where you can always come to connect to others, get inspiration and be loved on all year long. Members say they can FEEL the support of the people around the world – giving them extra strength to stay true to themselves. You also have the option to receive personal 1:1 support and do deeper work, within private coaching sessions, with a certified self-love guide. Create more loving relationships with the people in your life. It’s true the more you love you, the more love finds you. As you strengthen each branch of self-love, your love power increases and your relationships improve and you start to become even wealthier in love. A Year of Self Love gives you a place to fill up with love, so you become like a love magnet, attracting GOOD HEALTHY relationships of all kinds. Receive support, structure, wisdom and inspiration by being part of a global community of beings who believe in the power of self-love. There’s that saying that goes you are as wealthy as the 10 closest people around you. Choose to increase your love wealth by connecting into a community of like-hearted people. A Year of Self-Love is where it’s at for people who are ready to be wealthy in love and truly practice and master loving themselves, in real, powerful and fun ways. Each month you will strengthen ONE BRANCH OF SELF-LOVE! You can choose how deep you want to go based on what you need and what’s going on in your life. Think of this like strengthening one aspect of your relationship with yourself for the entire month. And then the next month we will move to another, then another and you will keep strengthening your relationship with yourself… and in the process you’ll start to see more love – happiness, success, appreciation, joy, peace, support, abundance, etc.– show up in your life! Monthly focus to strengthen your self-love one branch at a time – including self-compassion, self-care, self-empowerment, self-esteem, self-worth, self-trust, self-awareness, self-acceptance, self-expression, self-pleasure, self-respect, plus the roots of self-love, self-worth. Optional monthly self-love coaching sessions with a self-love guide for additional support and deepening. Having a person who is walking with you side by side, holding space, working with what comes up, is what we sometimes need to create big shift in our lives. These sessions will be available for an additional cost, though we always offer special ‘self-love rates’ for A Year of Self-Love members. Weekly self-love guidance and inspiration to keep you connected to your commitment to yourself – every week you will receive simple but mighty inspiration and guidance on how to make self-love tangible in your life, in formats you will LOVE! This isn’t about having more to do, it’s about giving yourself permission to choose loving acts and thoughts in your everyday life, and build a relationship with yourself so you can make sure you are living in alignment with what your heart and soul truly desire. WEEK ONE: Monthly Self-Love Activation Video & a Daily Practice You Can in Less Than 3 Minute – I’ll share my deeper self-love teachings with you – ones you can’t get anywhere else – in a special video transmission from my heart to yours (that you can watch or listen to via audio). Plus, I’ll give you a VERY SIMPLE daily practice you can do every morning to start your day connected deeply to self-love and that will also support you throughout the day to make more self-loving choices. Being part of A Year of Self-Love will keep you accountable to yourself… seeing others love themselves will inspire you to do the same. WEEK TWO: Self-Love Meditation & Self-Love Mantra – A short but mighty guided visualization that invokes the self-love energy we are working with inside of you – think of it like having a secret date with yourself where you can connect more deeply with your heart and soul. The meditation will include a Self-Love Mantra you can use all month to choose self-love over fear, guilt, shame, and blame. WEEK THREE: Self-Love Daring Adventure and Optional Self-Love Coaching – Every month you will be invited to take a daring act of love that strengthens your self-love. We’ll all take the same dare each month, so you’ll have the support and accountability from people around the world to actually follow through on these super-powered and super fun dares. Optional self-love coaching sessions will also be available if you desire to do deeper self-love work with a self-love guide (these sessions will be available for an additional cost at special ‘self-love rates’ for members of A Year of Self-Love). WEEK FOUR: Daily Love Boosts – To end the month with a self-love bang, every day for the last 7 days of the month, I’ll send you super short inquiries and inspirations that will help you deepen and lock in the self-love. People tell us they LOVE this part of the membership. Supportive Online Community for Connection + Inspiration – Hang out with us in our Facebook community where members share what they are discovering about whatever branch we’re strengthening. Come here to receive love and give love… and connect with like-hearted beings! We will be there to love all over you and to create the space you need inside of your life for YOU! We have a “hub” where you can get all the content from any month you are a member – You won’t have to search your mailbox for emails when you want to find a meditation or video, you’ll be able to go to the online hub and easily search by branch for the inspiration and content you are looking for. Special gifts + surprises + random acts of love throughout the month – You just never know when a boost of love is going to find its way to you, just when you need it. “While we all want to love ourselves, doing it on a daily basis can be challenging. And I just want you to know that it’s not your fault that it can be so hard. You were brought up with the Self Sacrifice Handbook (that said you had to give and give, that your value only came from giving to others) and the Self Esteem Handbook (that said you had to do, be and have it all to be enough). What branches of self-love will you be covering? Over the course of a year, we cover all branches – self-expression, self-care, self-trust, self-empowerment, self-awareness, self-acceptance, self-pleasure, self-respect, self-esteem, self-compassion plus the roots of self-love, self-worth. Is The Love Club for men and women? For people of any age? Yes! Any man, woman or person over the age of 18 can join the Love Club. This is not just for women. The only request is that you are a person committed to your relationship with yourself, a person who believes in the power of love, and a person who will play by our very simple club rules of love and respect for all our members. Everything at the Love Club is based on love and respect, and when you become a member, you agree to operate from that place. We don’t have a teen Love Club at this time, but are considering that for 2020 – we have been piloting the self-love branches with teens with success and are exploring opportunities to create something girls and boys could interface with. What if I am traveling or become busy with work and don’t have time for the Love Club? The great thing about the Love Club is that it’s simple, easy and meant to fit into your life not as another to do but as a way to keep you connected to yourself, even when, especially when your life is busy. That’s when you need The Love Club even more. We’ve made it super simple by keeping the same schedule each month so you’ll know what to expect when, and we hope that our emails, adventures, meditations, videos and calls will be like a breath of fresh air for you in the midst of a life that can sometimes take over. There is no obligation, guilt or have to’s in The Love Club… just simple but mighty ways for you to keep choosing self-loving actions and thoughts for yourself. What if I become a monthly member and decide to cancel? Well we hope you will love The Love Club so much that you will stay and keep going deeper into each of the branches of self-love, one by one, throughout the year. And we know that sometimes things shift. You can cancel your membership at any time. With a monthly membership, your credit card is automatically charged each month based on the day you signed up for The Love Club. If you wish to cancel you can simply email us at cancel@chooseselflove.com. What if I am a yearly member and I want to cancel? Yearly members can cancel within the first 15 days of their membership by emailing cancel@chooseselflove.com with the subject line Cancel My Membership… and you will be refunded the full amount minus a 10% handling fee. If after 15 days you decide to cancel, your membership cannot be refunded but you can choose to stop receiving communication or transfer the membership to another person by emailing our customer care team at cancel@chooseselflove.com. Note: For the special yearly membership (which is only available through March 3rd) if you choose to make twelve monthly payments for your yearly membership, you are responsible for making all twelve payments. Because we want to make this super affordable for anyone, we are financing your membership at the lowest rate possible. We are committing to you for the year and you are committing to yourself for the year. What happens when my yearly membership is up for renewal? When your membership is up for renewal, we’ll send you an invitation to renew. At that time, you can choose to renew for another year or renew month to month. And if you don’t renew, your membership will end. Again, we’ll send you email reminders when you get close to that time. For now, just enjoy and open up to receive lots of love! 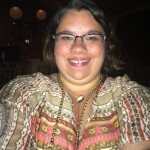 Can you tell me more about the optional self-love coaching? If you’re looking for personalized, one-on-one support to strengthen your ability to choose love for yourself (instead of putting guilt, shame, blame, criticism, stress, pressure and fear) then working with a self-love guide may be a great fit for you! A certified self-love guide will provide you with extra support, structure, and accountability to help you stay connected, committed and true to yourself, no matter what. These sessions will be available for an additional cost, though we always offer special ‘self-love rates’ for A Year of Self-Love members. More Questions? Email our A Year of Self-Love member love-line at love@pathofselflove.org and a member of Team Love will get back to you within 48 business hours. “The Year of Self-Love is a constant reminder to love myself unconditionally. When life gets hectic and busy it’s sometimes easy to start putting yourself later on the list, but seeing the Year of Self-Love emails and being part of the Year of Self-Love community gives me an opportunity to renew my vows to myself… to love myself and take time for myself no matter what.